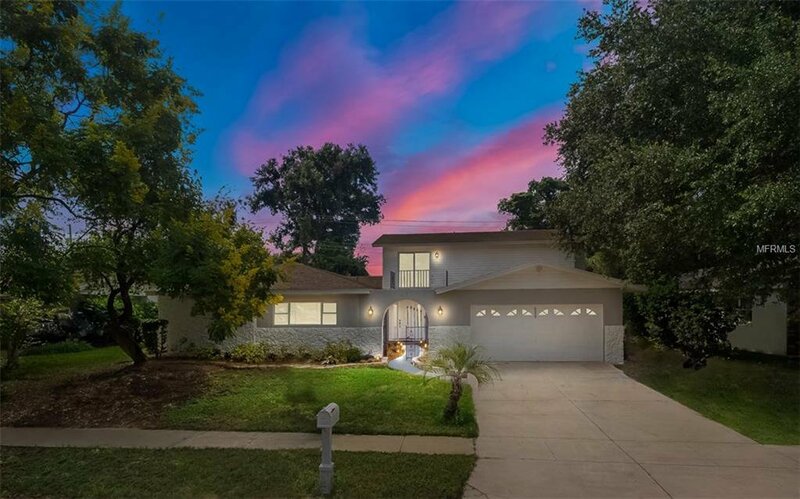 Newly remodeled two-story single-family home with 6 bedrooms and 4.5 bathrooms is waiting to be called your home in the desirable and established community of Oakland Estates. Every room is overly generous with size and will provide plenty of space for your current and future needs. The kitchen includes an immense amount of cabinets, granite counter tops with backsplash, closet pantry, and band new stainless-steel range with cook top. Everything you need to entertain or for an intimate dinner with the family. Eat-in kitchen area and living room offer glass sliding door leading out to an over-sized enclosed patio including a pass-through window to the kitchen perfect for enjoying all the beautiful weather Florida has to offer. On those colder nights, grab a book and cozy up by the wood burning fireplace in the family room. No fighting over who gets the master suite because there are two master suites located on opposite floors and both have plenty of closet space. The upstairs master bedroom even offers its own private patio to enjoy a little stargazing before bedtime. There are two AC units with the main system recently replaced. Newer double pain windows insure energy efficiency. Your vehicles are protected in the oversized double car garage with hurricane locking system. An inviting community without HOA fees convenient to the abundant local dinning, shopping, and entertainment. Altamonte Mall is a scenic 10 minute drive. Call agent today to schedule your showing. Listing courtesy of KELLER WILLIAMS AT THE PARKS. Selling Office: HOME WISE REALTY GROUP INC.